We were over the moon to welcome a number of visitors to Room 13 recently and to share our work with them. We had visitors from Windsor, Cumbria and Yorkshire. The engineheads met with the visitors to talk about SOLE from their perspective. We had two sessions programmed. One was a Time4Success Tutor enquiry “is the future already set? and the other was a Maths year 10 class who had decided to try something different and explore a higher A level Maths question! The Maths question was a tricky one. Head of Maths, Claire Middleton, had found a question which she would be surprised if the high ability set in Year 10 would be able to answer. We had a great discussion about what else we might get from this session but were very keen to see what happened. We were keen to try and see what happened when you asked a more challenging question, and although not a traditional big question in the regular sense, nonetheless, an interesting idea to explore. The results were fascinating. The group had worked out that the coordinates were at the turning point of the curve and had worked out how to answer the question and also explained how they’d worked it out. One group said that didn’t understand all of it but they think they would have got there with each other and the internet if they’d had a bit longer. The teacher was delighted with the results. I’m looking forward to doing a little more of this and investigating how SOLEs can help students who perhaps wouldn’t usually be able to tackle these GCSE, A Level and University questions understand and explore the meaning and the possible answers. This was the question Trinity and Amy from Byerley Park Primary came up with when we chatted at our Art Club at Greenfield Arts before their class came to do a SOLE session later that week. They were excited to be coming to Room 13 again (there fourth visit recently!) and were telling me about their forthcoming visit. They started coming up with questions they could explore with their class. Why is nature sometimes called Mother Nature? Who said the first word? Who discovered the first potato? Why do we have colour? 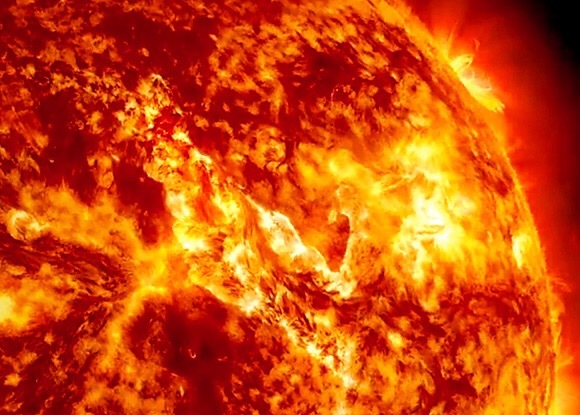 We decided that ‘Why is the sun so hot?’ was the question they wanted to try later that week. The session was great and the class had so many fascinating things they’d discovered and even more exciting for me they kept asking further questions which I hope they are inspired to continue to explore. They just kept thinking. I love that. I really enjoy working with Byerley Park. They are SOLE Superstars!! The session was with year 5 students from St Francis. They had not experienced a SOLE before but got really stuck in. 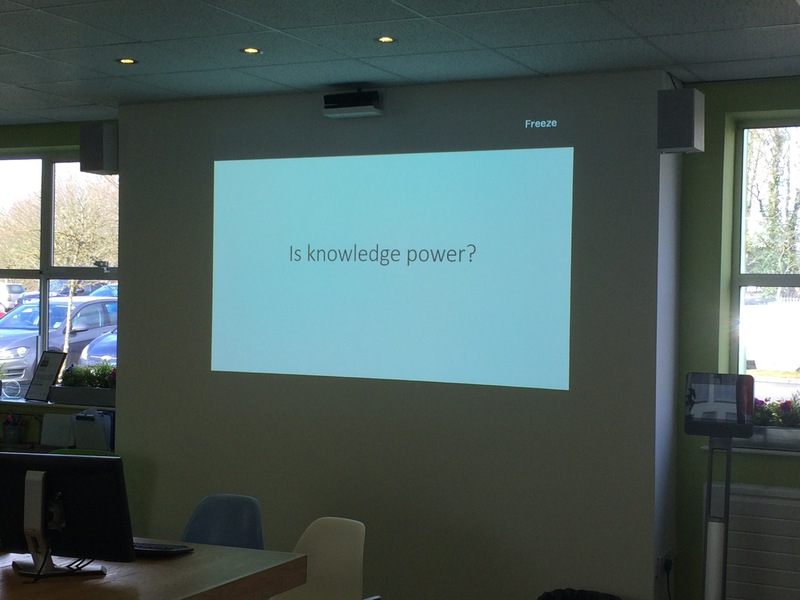 ‘Is knowledge the same as understanding?’ One group gave a definition of knowledge. Facts and familiarity with something. They explained that it’s about what you do with the information you have that matters. ‘Do we need to know if we can find out?’ The group explained that you keep learning over time so you don’t ever have all the knowledge. It doesn’t stop till you die. ‘Knowledge is power because the Internet said 63% of the country said it was so I agree with that’. ‘Sometimes I use my imagination or work with others to find things out, it helps you get on and do more’. I was in India with Sugata and was sharing our work as well as learning from all the India labs during my visit. It was an experience of a lifetime and am grateful to Sugata for what he has enabled us to do. We commissioned film maker, Laura Degnan, to work with the Engine Head Group to create a new film that shares a little short of the difference SOLEs makes to us at Greenfield. This was led by the young people and heavily features the difference SOLEs makes from a students perspective. We shared this film at the conference to Sugata, delegates, grannies, co-ordinators, researchers and the young people, parents and teachers from the PSS School in Phaltan, Pune. I was very proud to see our young people represented at the conference and the great insight they have. They are remarkable. School in the Cloud from Greenfield Arts on Vimeo. 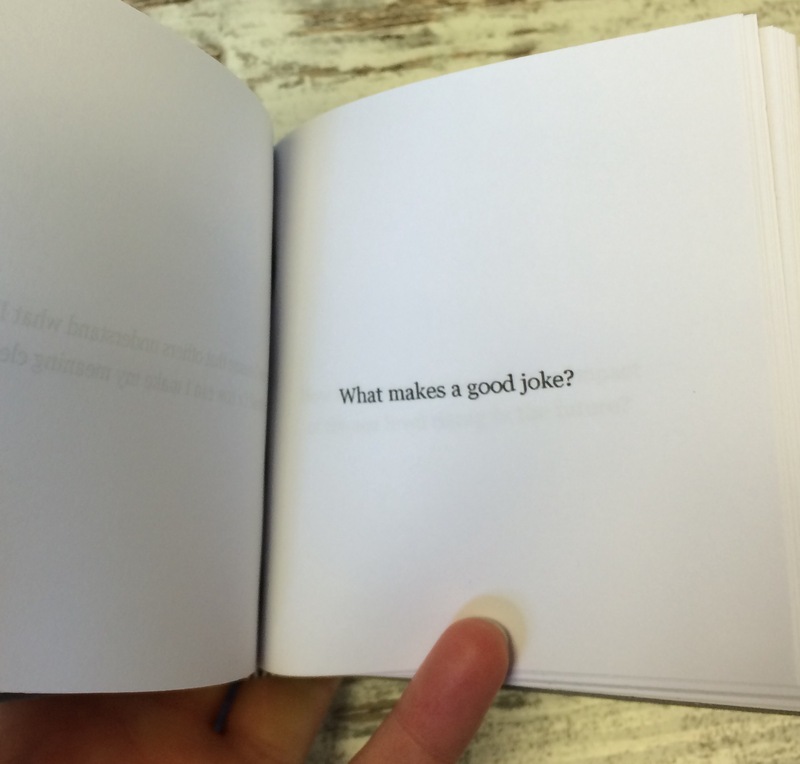 I also co-produced our lovely Tiny Book of Big Questions with artist, Nicola Golightly, which captures many of the questions from staff, students and others we have worked with. There are some amazing questions and a book that should inspire even more. I was thrilled to be able to present Sugata the 1st (and only copy with this particular cover) Tiny Book of Big Questions as a thank you and birthday gift when I arrived in Kolkata. He thought it was wonderful. 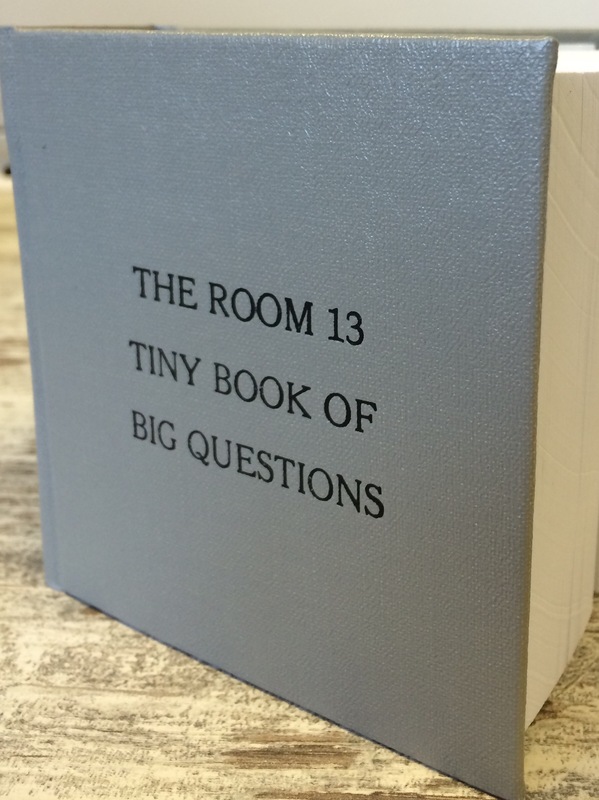 You can use our PDF online book to inspire your own big questions- enjoy! Looking forward to what else is still to come and to more big questions. I thought it might be interesting to share some of the notes I prepared for the School in the Cloud India Conference 2016. This is only an outline of some of the ideas we shared. 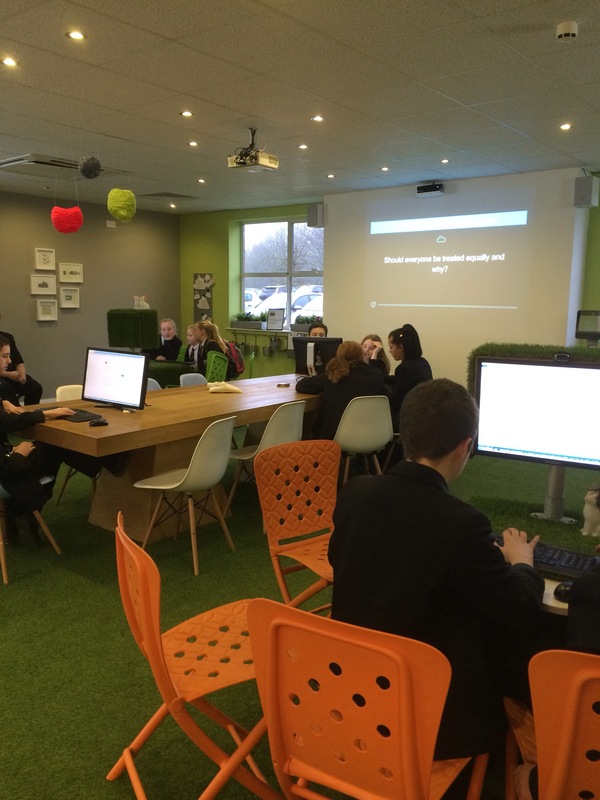 Room 13 School in the Cloud is the Area 6 TED prize lab in the North East of England, Newton Aycliffe. It is part of Sugata Mitra’s global School in the Cloud Project and we are 1 of 7 worldwide. Room 13 is situated in Greenfield Community Arts Centre which is part of our 11-16 year old school- Greenfield Community College. 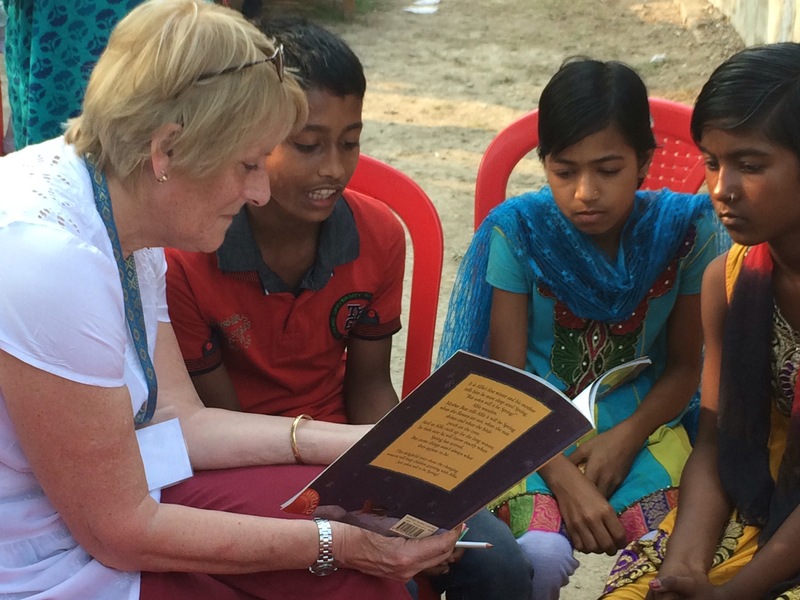 We have been working with Sugata Mitra for the past 6 years and exploring SOLEs in secondary education in any classroom setting. We did some initial research into SOLE and we established a group of teachers who tried SOLE and we used to Skype Sugata a lot and ask him questions. 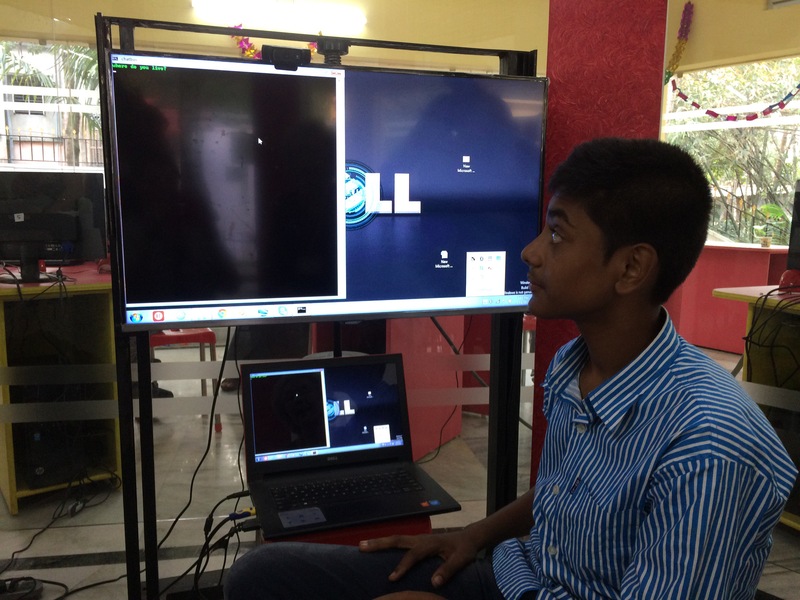 We opened our TED prize School in the Cloud lab on the 13 Feb 2014 thanks to Sugata. 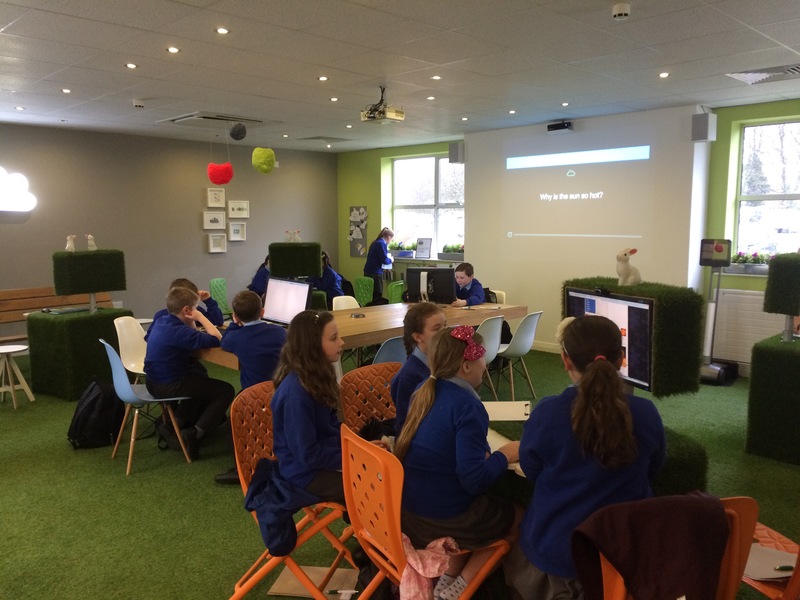 We wanted it to look very different to a classroom, so it does, it has grass on the floor, clouds on the walls and rabbits in amongst the grass too! 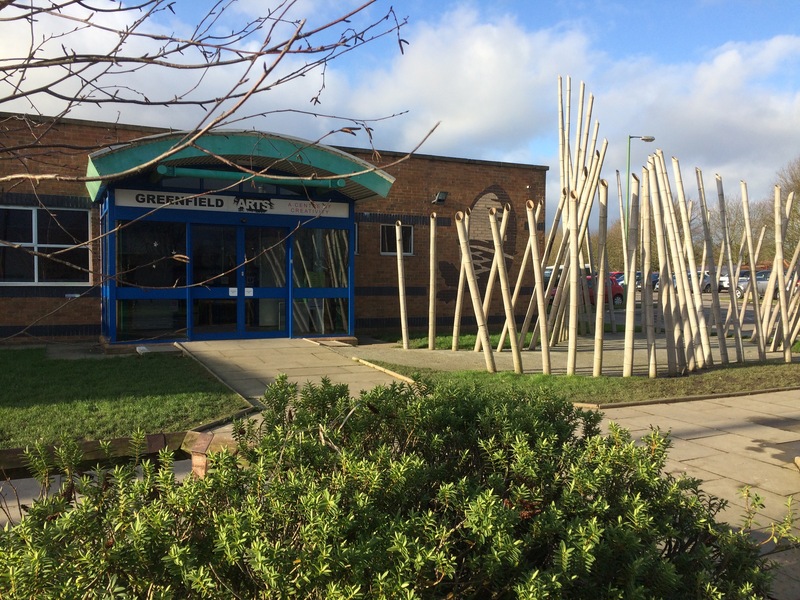 It is also a different looking space as it is part of our school in our community arts centre and is used by lots of different young people and other people as well as all of our students, we wanted it to be inviting and to be attractive & unusual. We have had over 1000 SOLE sessions in last 2 years. All ages and all subjects. Some teachers have more experience of SOLEs than others. Sometimes there is a heavy use and other times it can go for a while and be a little quiet. There are lots of reasons for this. Room 13 has to be booked through our booking system by teachers as it is voluntary to use Room 13/SOLE and a short form completed since the space opened to help us understand who is using it, how, why, when etc. Teachers are asked to record information for research and are filling in forms and providing verbal feedback. We have also collected some other data to try and help us understand our observations this includes a collection of Big questions. It is not all about English comprehension for us, which is the main area of focus in India, as we are in a different context it is not needed as a single focus for us. We have explored many things and most areas are things that are coming up from the young people. It has included exploring SOLEs to improve self esteem and resilience (questionnaire results showed improvement short term), tutor/pastoral t4s enquiry sessions, maths SOLEs vs ‘usual lessons’ over a period in y8, disadvantaged students and the affect on their results (the group of disadvantaged who accessed SOLE over a period of 10+ sessions appeared to achieve greater than expected results), asked exam questions to students from 6-16 and they have been able to answer questions using SOLE way beyond their age/expectation, worked with all ability groups & all ages helping broaden teachers assumptions that it may just be something for ‘some’, reading ability with primary and secondary (results and statistics dramatically increased). These are points of interest that need further investigation. It is very hard to say if it’s all SOLEs or other factors that affected any preliminary results as there are many factors possible. Initially these are interesting findings. It is clear to see SOLEs does many things. Every session there is always something to take from it. The young people always take something from a SOLE no matter what too. 1. Teachers perceptions of SOLEs, curriculum pressures etc everyone is in a different place in their experience and thinking. It has been a challenge in providing SOLE opportunities for young people at times as it currently heavily relies on teachers to decide to do SOLE (because students primarily access SOLEs currently through the curriculum) It is voluntary for staff to use SOLE and room 13. 2. Hard to capture some of the benefits from all observations as to what happens next as it goes back to classroom. 3. Some teachers have explained they still finding it hard to design big questions that are relevant to their subject. 4. Teachers are often focusing on behaviour and not always on the learning or development. They notice behaviour because learning doesn’t look the same in a SOLE. It has however changed the way many teachers view the capabilities of young people and has surprised many as to what is possible. 2. Noticing the young people differently, their capabilities and potential. Raising teacher expectations of students. 3. The engine heads – these young people are leaders of learning. They understand learning, promote SOLEs and see things differently. There are currently 10 of them. They have volunteered and all emerged in different ways as strong,confident individuals. 4. We may not have all the answers but we have started and we are doing something! We are providing a different opportunity for learning to happen. 1. We have carried out SOLE sessions with all ages, abilities, subject areas etc and worked with our school, primaries, other secondaries, uni students, families, children outside of a school, led conferences, delivered presentations internationally, international visitors, granny sessions, Skype and SOLE sessions with India, with industry, with other countries, other children, a blog for over 2 years, 2 SOLE films on our website/Vimeo and just produced a tiny book of big questions which Sugata has a unique copy. We have been exploring the role of the granny since Feb 2013. We’ve had lots of sessions over past 2 years with ‘granny’ Liz and Catherine as well as others. They’ve asked questions and led feedback sessions. More recently they have posed big questions via our robot (which has been less imposing/ interruptive), then only asked a question part way such as ‘that’s interesting, why did you decide to focus on that particular area? Tell me later’, this has been such a great catalyst and has helped the students probe further and explore a deeper level of understanding. -What to do with learners/what to do with SOLE in the current the system – SOLEs doesn’t fit easily with the current exam and assessment system. -Share our work and help others to understand SOLEs and the impact when they show interest. -How to analyse and find more support to understand what we are finding out. -Finding even more ways for allowing young people to access SOLEs in their own way and be able to follow up SOLE with another session because of the new questions they’ve created. Work with all our staff across both sites to explore this. 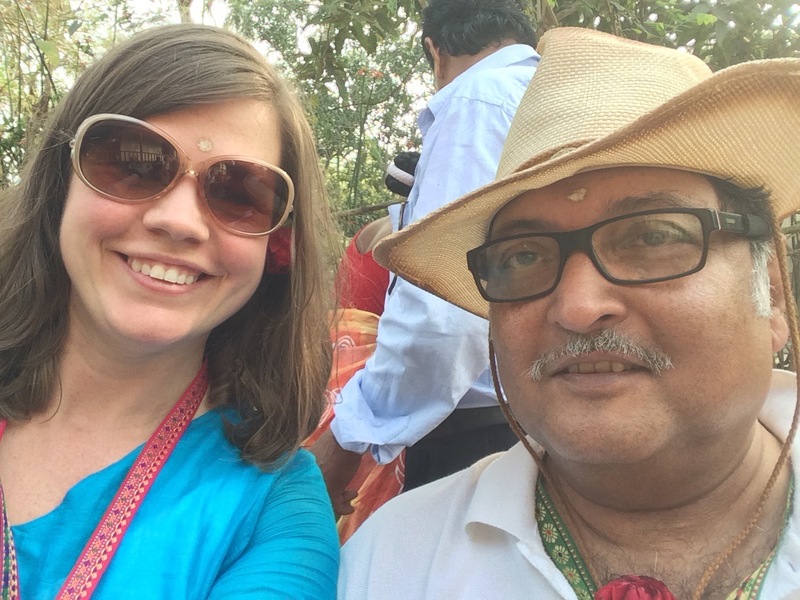 – continue and to develop this very real connection I now have because of SOLEs India 2016 trip which Sugata enabled. Grannies play a particularly important role in SOLEs in India. I was humbled and inspired when I saw this for myself during the School in the Cloud India 2016 visit. Grannies are anyone of any gender, any age who are willing to give a little time to do a SOLE session with young people. Their role generally as I’ve understood from Sugata is to be a kind, encouraging ‘grannie’ type person who may sometimes prompt a big question. Some of the grannies I met in India were supporting children from the labs in India who had previously had no access to Internet or in some cases to school to learn English so the grannies (from across the world!) sometimes played an initial role with English comprehension to help the children learn for themselves so they can learn anything using the Internet. 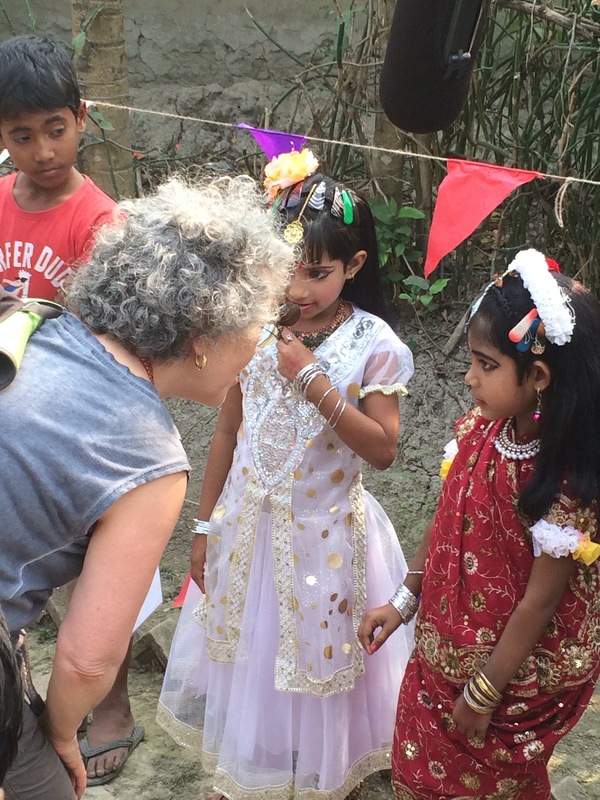 It was delightful to see the relationship the grannies and young people had with each other. Very touching when they met in person for the first time too. I enjoyed watching one particular session in Chandrakona where Jackie, who couldn’t make it on the trip, skyped in and asked a question about Chinese New Year. There was a lot of activity and noise in the lab and they all disappeared off to use the Internet and gradually came back to Jackie and shared some fantastic findings on Padlet and over Skype. They also told me I was the year of the sheep and for some reason found that hilarious! They had just done a SOLE. One boy in Gocharan had worked with a grannie particularly effectively I thought at a point in time that was useful to him and in a way that helped him achieve some next steps. He had built computer programmes on his own using only you tube and had developed such a love for programming that when granny Roger skyped in, who also had an enthusiasm, they could share ideas and could talk about what he had done which spurred him on to make his own ‘computer bot’. I saw this in action and it was fantastic. He had programmed the computer to have a human like converstation with us in response to what was said. The granny session had come at the right time to push him even further through a bit of gentle curiosity and kindness it seemed. As I said, grannies can be anyone but many that were able to make it to the India Conference 2016 happened to be women and some (not all) a little older than I am. They were from so many parts of the world too. I must say how truly inspiring I found them and even more so as I got to talk individually with some. As a woman, I felt in awe of the inspirational and independent women around me during the visit who had achieved all sorts of things and were keen to share their time and energy with the wonderful children we met. This included those women working closely with Sugata- Sushmita, Suneeta and Ritu. I spent two weeks with some incredible women. 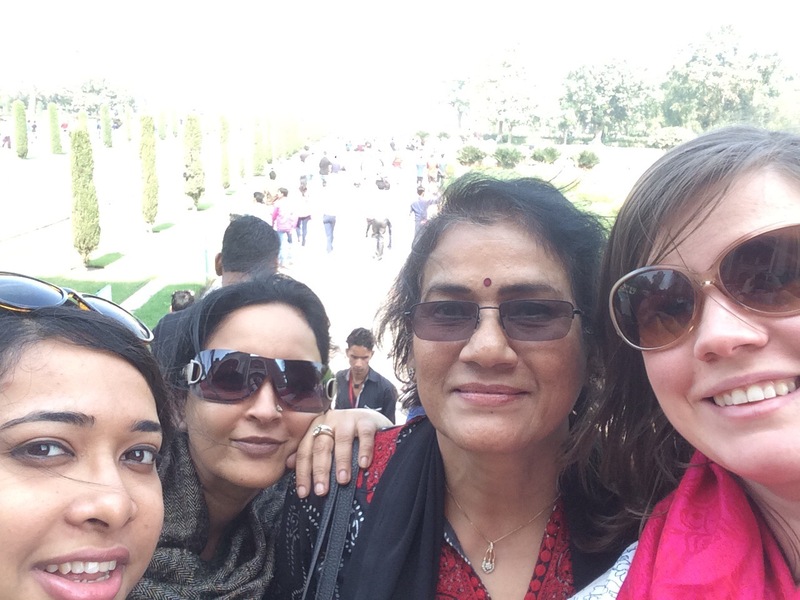 In particular I spent time a close time with Sushmita, Ritu and Emma. Fantastic women. Thank you to them. 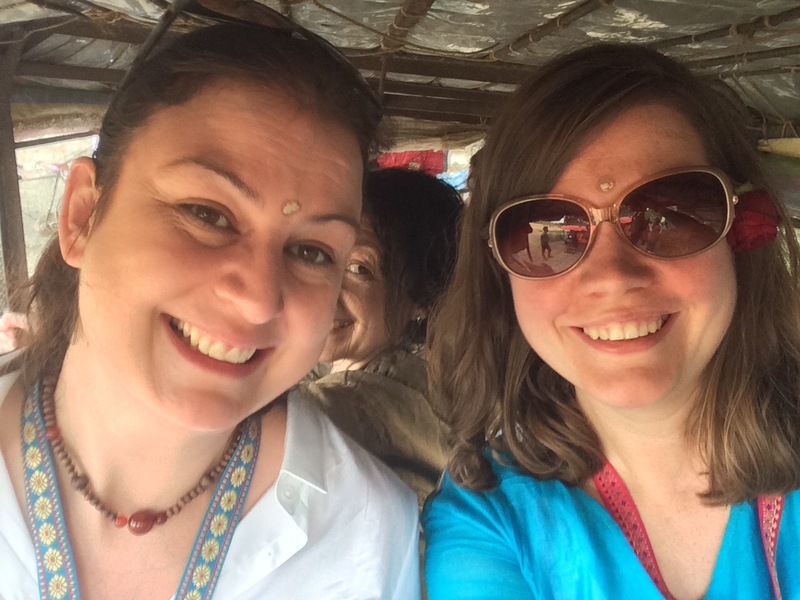 This blog is for all the wonderful women I met in India and to those who are ‘grannies’. Inspired by these women I decided to post this blog post on International Women’s Day (8th March 2016). 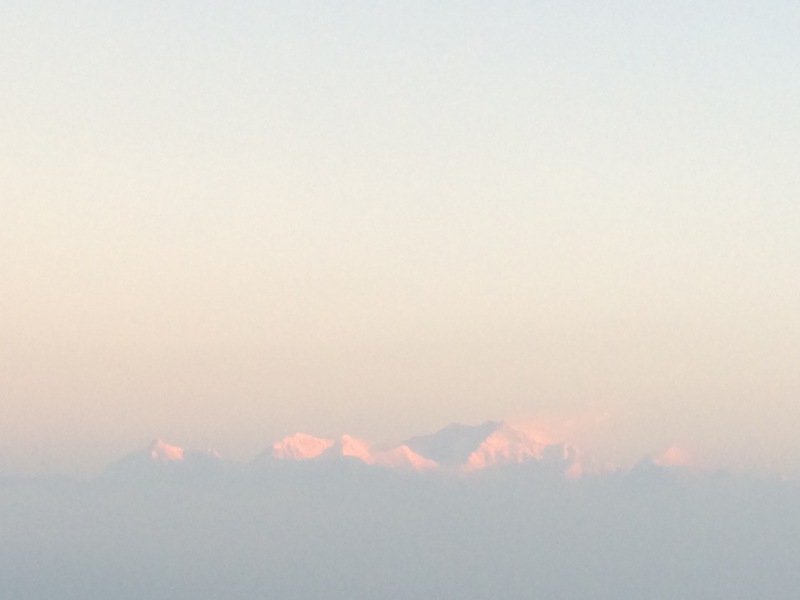 This was my view at sunrise (3am) above Everest where we ended the final leg of our Room 13 India project. 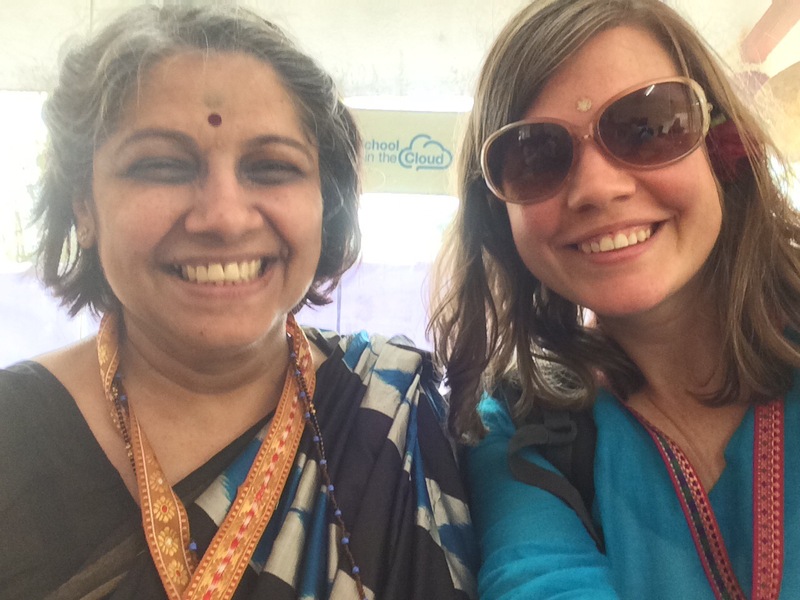 Quite appropriate to finish the School in the Cloud India visit with my head well and truly in the clouds! It has been a fantastic fortnight of SOLE, learning, sharing and exploring. In the process I have been places and experienced things I’d never have expect. Sugata and his incredible wife Sushmita have been so kind and generous letting me stay with them and taking me places so I can really understand the global picture of the work we are involved in. I don’t know where they both find the levels of energy you need to travel all of the time in the way they do. Ritu, India SinC co-ordinator, has also been outstanding and had us all stay at her place in Delhi so we could visit the Kalkaji lab amongst a few things. Sadly, due to the lack of water and the water shortage, the visit was unable to take place but we have spent a lot of wonderful time learning from each other and the experiences we have had back at home and during our trip. Her work there is incredible. Thank you to Suneeta too for organising a lot of the trip. It was no mean feat with over 50 international visitors from across the world arriving and leaving at different times. An incredible time and I look forward to sharing the experiences and learning with colleagues.